Home » About » Our Doctors » Robert S. Gorab, M.D. Dr Gorab is a board certified orthopedic surgeon practicing in Orange, California. He is one of the managing partners of Orthopaedic Specialty Institute, the largest subspecialty orthopedic surgery practice in Orange County comprised of 28 orthopedic surgeons. Dr Gorab's practice is limited to joint replacement and arthritis surgery. He serves as Chief Medical Officer at the Hoag Orthopedic Institute and sits on the Board of that institution. 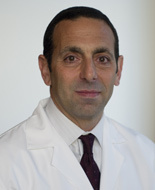 He is an attending physician and former department chairman at St Joseph Hospital in Orange, and has served as Associate Professor of Orthopedics at the University of California, Irvine School of Medicine. He is a member of the American Association of Hip and Knee Surgeons, the American Academy of Orthopaedic Surgeons, the California Orthopaedic Association, and the Western Orthopaedic Association. Dr Gorab's wife, Lisa, is a practicing pediatrician and he has two adult children. His recreational interests are primarily athletic and he is very active in youth sports. He played collegiate soccer at Colgate University, continues to play in competitive ice hockey, enjoys mountain biking, and is an avid downhill skier. 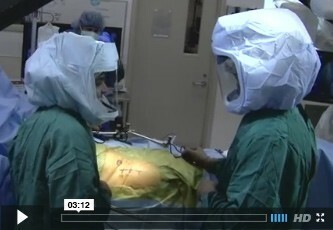 Please visit www.robertgorab.com to find out more about Dr. Robert Gorab.